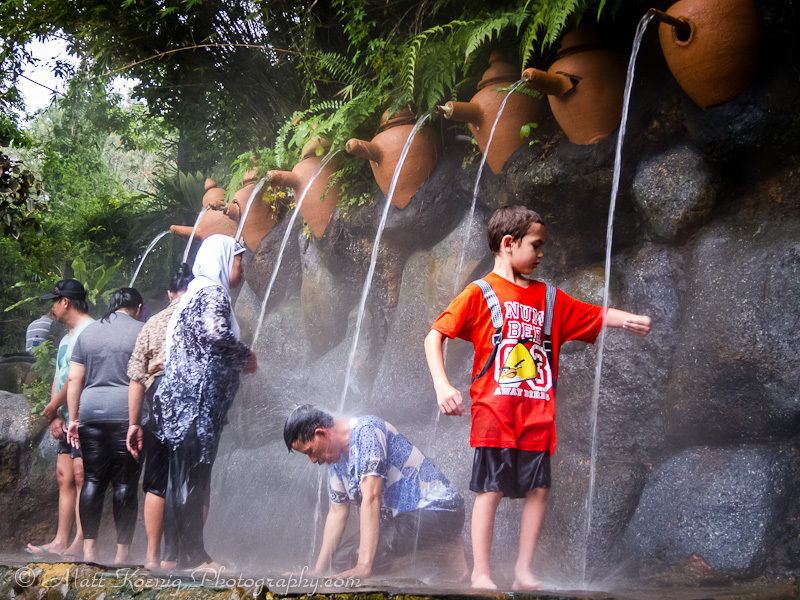 My son enjoying the hot mineral water fountain at Ciater Hot Spring. We took a trip to Lembang to visit and experience Ciater Hot Spring. I really didn’t know what to expect. In the back of my mind I imagined something similar to the hot springs I have been to in Oregon where you soak in a few pools of steaming water. What we saw was beyond expectation. The drive from Bandung to Ciater Hot Spring was quite breathtaking. You traverse through mountains and hillsides of tea plantations. It’s incredibly beautiful with patches of fog drifting through the countryside. When we first arrived we had to pay around RP100.000 for 6 people which is around $10USD. This is the entry fee to the park. The whole family at Taman Safari Bogor Indonesia. 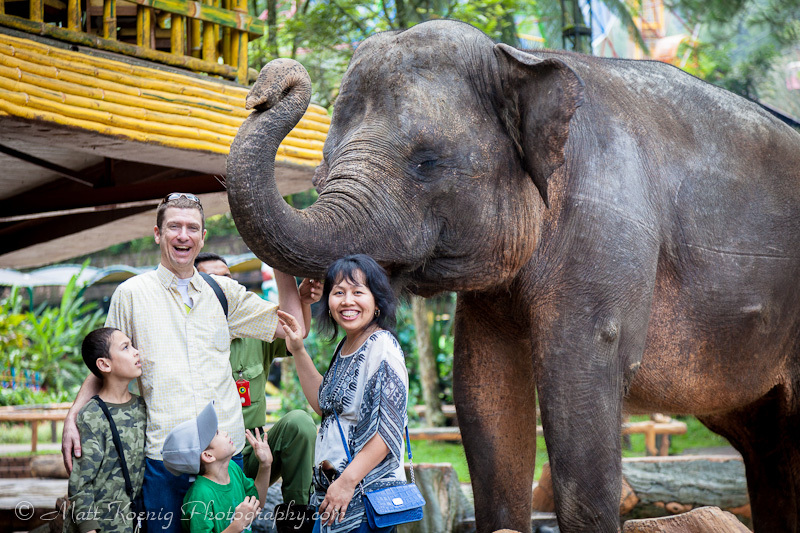 We spent the day at Taman Safari in Bogor Indonesia. It was about a 3 hour drive from Bandung which was actually quite beautiful as we traversed the winding roads through Puncak. We viewed large areas of tea plantations and the weather was cooler and a bit foggy compared to Bandung or Jakarta. It reminded me a bit of a Fall day in Oregon only more warm and humid. In Indonesia there is a wide variety of fresh and local tropical fruit. Many are fruit that we pay a premium for in Oregon but here are fairly inexpensive. Recently we tried dragon fruit, snake fruit and star fruit. You can buy fresh fruit and produce in the supermarket, traditional market or from any number of roving fruit vendors that traverse the streets of most neighborhoods. 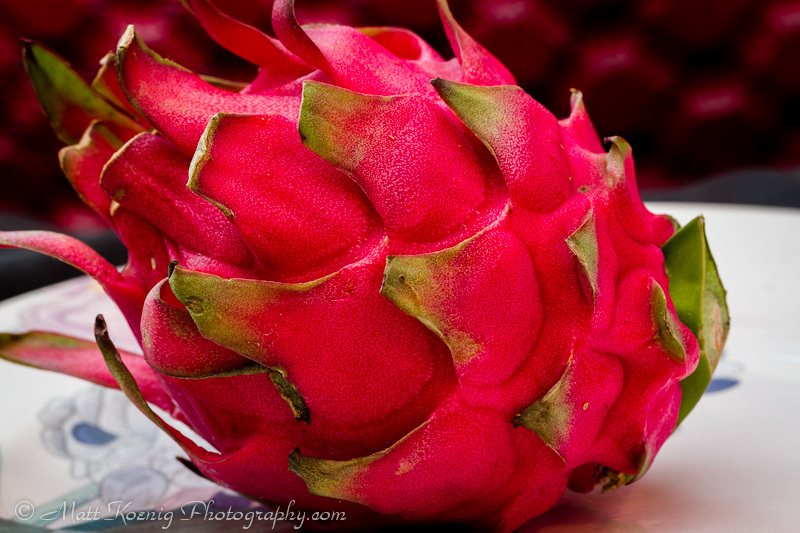 The dragon fruit comes from a variety of cactus species and has a red scaly appearance. I‘m currently on a 3 month sabbatical in Indonesia and the family and I have been enjoying the wide variety of fresh tropical fruit. 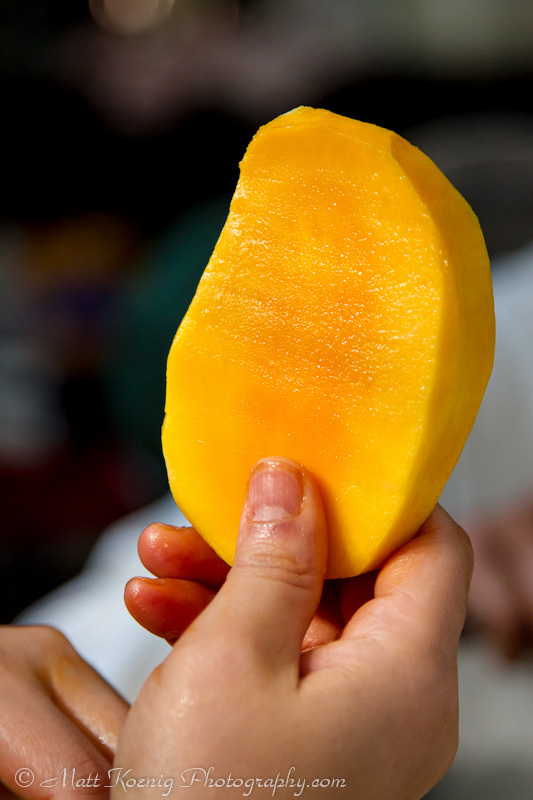 One of my favorite fruits are mango and Indonesia has a wide variety of mango. My personal is the gincu mango. The skin is often a reddish yellow and the flesh is a dark orange. They are so sweet and juicy. This photo is not a gincu mango. I’m not sure what variety it is but it is also a good tasting mango. I’m going to try and get a selection of different varieties and photograph them all together. Every Monday I post a photo that is meant to inspire you, motivate you, cause you to pause and ponder, remind you of your dreams and hopefully entice you to act on whatever your goals may be. 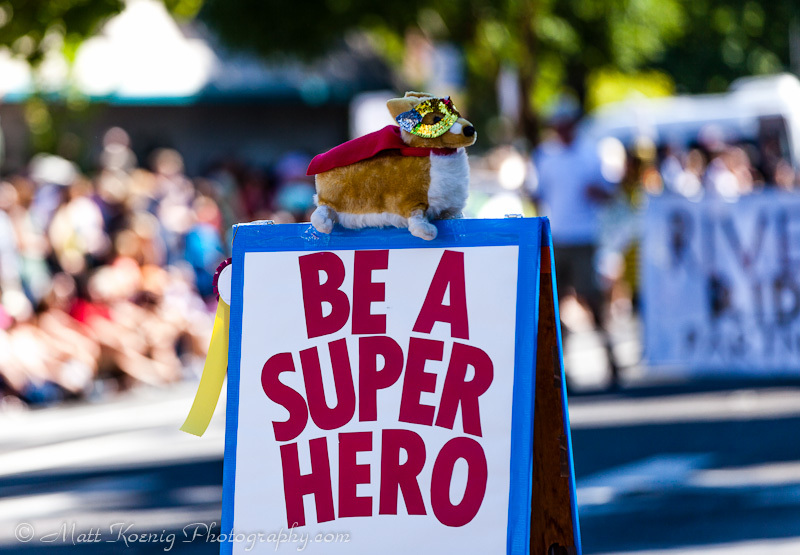 This past weekend was the Eugene Celebration celebrating 150 years of Eugene. I took the family down to watch the parade on what turned out to be the perfect day. Lots of sunshine but not too hot. We can all be a Super Hero to someone. The Eugene Celebration parade is always quite interesting. I’ve never witnessed a parade with such an eclectic mix of local business promotions, earthy tree-hugging environmentalism and highly political statements along with the usual cool classic cards, marching bands and candy throwing. It’s definitely a great place to shoot some photos and a parade to not miss. Every Monday I post a photo that is meant to inspire you, motivate you, cause you to pause and ponder, remind you of your dreams and hopefully entice you to act on whatever your goals may be. We are well into August now and summer is finally here in Oregon. Over the weekend it was in the 90’s and I was wishing I had installed that window AC unit after all. 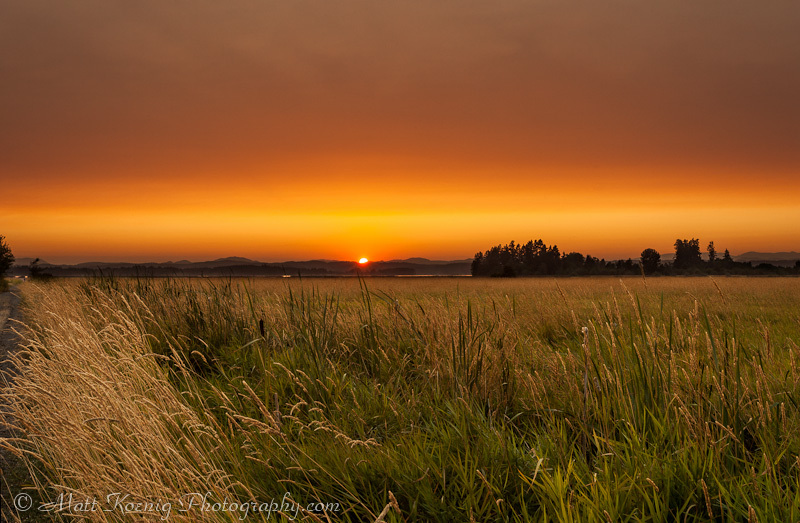 Your inspiration for Monday August 13th is a sunset image I took Saturday at Fern Ridge Lake just west of Eugene. We were outside at the house because it was hotter inside than it was outside and I noticed this band of haze in the sky. I’m not sure whether it was dust or smoke in the air but it was already turning red and I figured it could be quite a nice sunset. So we grabbed our cameras and drove out to Fern Ridge Lake to a wildlife area at the end of Royal Avenue. It’s a place we frequently go to nature walk. I came away with this image. This is an image hand blended from two exposures. The camera views a much more limited dynamic range than our eyes do so in this scene it was impossible for me to capture that range in one exposure. So I took a series of exposures to expose for the shadow areas which in this image were the grasses and hills in the distance. Then I took a series of exposures to expose for the highlights which was the sky and setting sun. Every Monday I post a photo that is meant to inspire you, motivate you, cause you to pause and ponder, remind you of your dreams and hopefully entice you to act on whatever your goals may be. It’s August already. Summer is flying by. 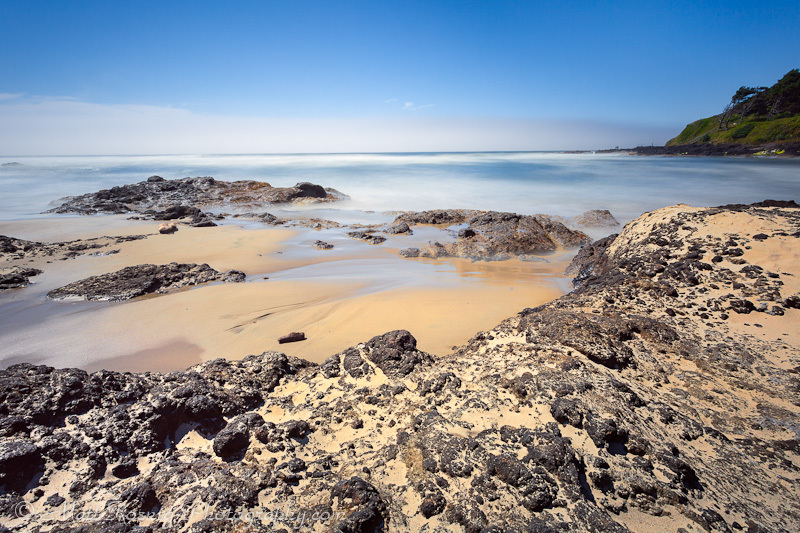 This Monday August 6th shows us the beautiful Oregon Coast. This weekend it was forecast to be near 100 degrees in Eugene so we decided to ditch the heat and head to the coast for a day trip. We drove to Florence and then north up the coast to Yachats where we ate lunch at the Ona Restaurant and Lounge. When we arrived a little after noon I checked the weather on my iPhone and it showed 90 degrees in Eugene already while we were sitting at a very comfortable 68 in Yachats. Cape Cove in the Cape Perpetua Scenic Area along the Oregon Coast just south of Yachats. Every Monday I post a photo that is meant to inspire you, motivate you, cause you to pause and ponder, remind you of your dreams and hopefully entice you to act on whatever your goals may be. 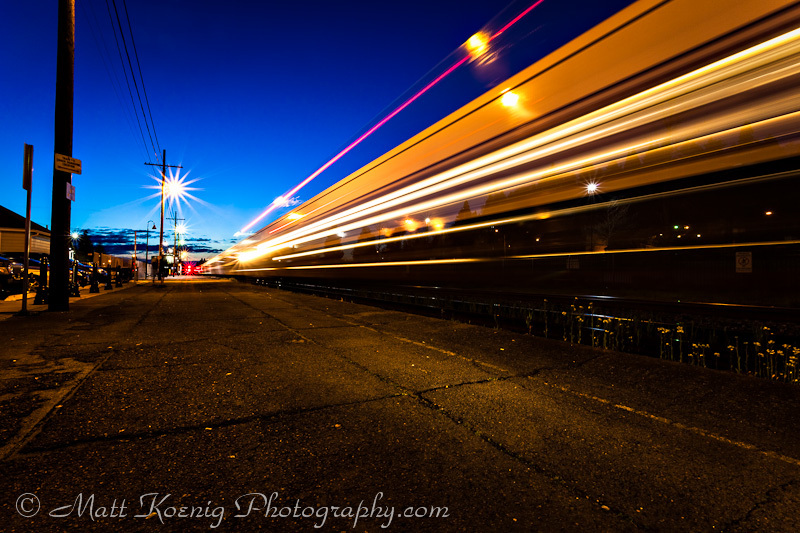 This Monday, July 30th we take a look at an image I made not long ago at the Eugene train station. I view train stations much like I view airports; gateways to adventure. I love that sense of wonder at where the train or plane might be headed. Every time I see or hear a plane overhead or hear that train horn blaring off in the distance I imagine where it might be headed, the people that are on board and what they might be traveling for. I remember the first time I traveled Internationally. I flew from San Francisco to Jakarta Indonesia and transited in Hong Kong. I remember landing and looking out the window at a whole new world. There was this new reality that there is so much more out there than anything I had ever imagined. The travel bug had bit. Every Monday I post a photo that is meant to inspire you, motivate you, cause you to pause and ponder, remind you of your dreams and hopefully entice you to act on whatever your goals may be. This Monday, July 23rd I bring you a lucky lightning bolt in the sky from a recent summer thunderstorm that rolled through our area. 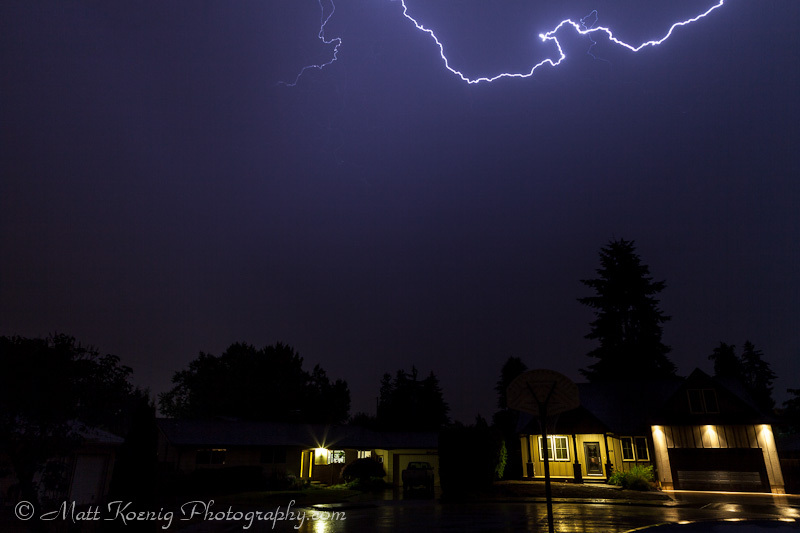 A few nights ago we had a thunderstorm roll through with lots of flashes of lightning and rolling booms of thunder and heavy downpours. I love thunderstorms. I love the power of the emanated from the bright flashes across the sky. I love the rolling thunder that sounds like the sky is tearing in two above me. I love the cool rain the pours down in buckets from above. And I love that fresh rain smell. When I think of dodging and burning I think back to the days of film and the hours spent in the high school and community college darkroom creating black & white images and bathing them in chemical baths. It’s probably not common for most people to think about dodging and burning when it comes to the digital image and yet they are both incredibly powerful techniques for enhancing and drawing attention to various aspects of your images. There is the photo we see out of the camera and the photo that was originally in our mind when we envisioned the shot and pressed down on the shutter button. Getting from point A to point B often requires post processing and that is where the techniques in the Craft & Vision eBook entitled Dodge & Burn – Leading the Eye with Lightroom & Photoshop by Piet Van Den Eynde comes in and helps us reach that goal.